You might be wondering: Why go camping? It is one of the most authentic ways to see the great outdoors, but maybe you don't like dirt, or bugs, or the outdoors for that matter. You should still go camping at least once in your life. Here's why. We live on a shrinking planet. World populations continue to grow and put ever-increasing demands on natural resources. Every day, cities are expanding their borders and infringing on surrounding farmlands and forests. Every day, plants and animals are becoming extinct as a result of the expansion of our modern society. The conservation efforts of governments may be able to preserve many forests and public lands for future generations to enjoy but they can't stop the lines waiting to get into these places from getting unbearably long. 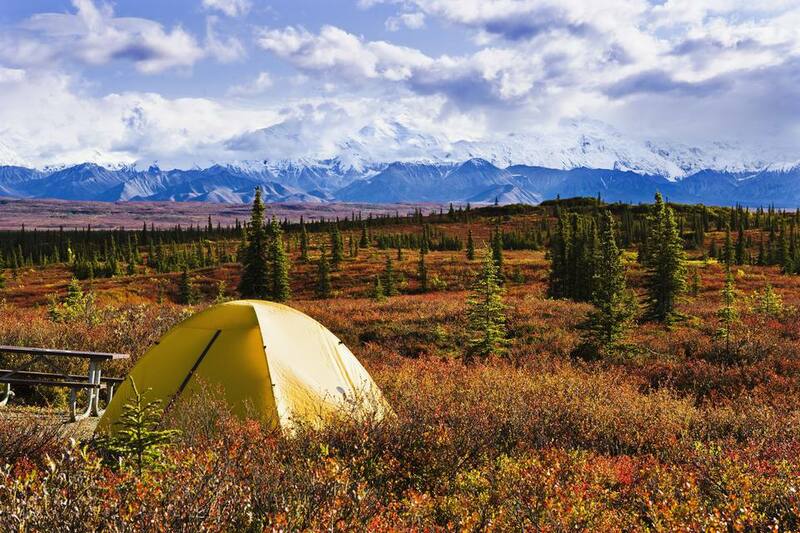 Camping requires uncrowded open spaces in order to be appreciated. Consequently, the opportunities for memorable camping experiences are getting fewer and farther between. What better reason to go camping than to enjoy the outdoors and the scenic wonders of nature while we still can? With popular outdoor destinations requiring reservations as much as a year in advance, the feeling of the outdoors is getting lost in the crowds. More and more it's becoming necessary to camp in the off-season or to travel great distances in order to find peace or solitude. Search for your youth and go camping. And, wherever you find peace, stop for a moment and reflect on how blessed you are to be able to live on this marvelous planet that we call campground Earth. Remember to share your love for the outdoors with family and friends and to help pass on some respect for nature to future generations. And as always, leave no trace when camping in the outdoors. We asked fellow campers why they go camping, which we share below in hopes of inspiring you to enjoy the great outdoors. SARAHTAR - "It's a lot of fun. It's cheap. It's a change of pace. It's different from the usual 'drive somewhere and stay in a hotel' type of vacation." MORPHD - "Camping is the only time I can begin to comprehend what life is and how things fit together. It is a renewing of my soul, a recharging of my being. If I happen to do it on a motorcycle, so much the better." CMBRUST - "I love being outdoors. I don't like wearing shoes, coats are for dogs, and camping makes me proud, grateful and appreciative. I mean, I can actually live outside, without electricity and I love it. Getting away from the hustle and bustle of life, telephones, computers, beepers, traffic. I love it when the chirping birds wake me up before the sun comes up! Now that's an alarm clock. Camping keeps me humble. Last weekend a storm blew through the camp during the night. You feel really small when the lightning bolts crack above. Camping keeps my feet on the ground and spring in my step." NESA - "All I can say about camping is that anyone not doing it is missing the most family-oriented memorable experiences ever. Most of our fondest memories as a family and with good friends have been around campfires. We have met some of the most interesting people and have seen many beautiful places because of camping." RONEILL - "Camping teaches resilience. It builds courage. It teaches us about our strengths and weaknesses, and in so doing, it makes us productive people." MARTHABILLIN - "No matter how busy our summer schedule is (with five kids and two working parents), we always take a family summer camping trip. There is nothing like it for providing the opportunity to focus on the family. Everyone must work together for things to get done (packing up, setting up camp, breaking camp, putting things away at home). We love the quality time without TV, phone, and computers. As others have written, some of our most memorable experiences as a family have been while camping." MIZMARIE - "Over 25 years ago, I started with three small children, little money, but a desire to travel and have fun vacations. Camping fit the bill. In those years I looked for places with all the amenities and lots of activities for the children. They grew up, moved out, got married, had children. I still camp. In a tent when the family goes with me, in my VW van when I go it alone. I do state parks mostly, for I usually want fewer activities and noise and more times of quiet reflection. I have learned more about our natural world by experiencing it, than if I sat through a class in school." LGHTNSHDW - "There is NOTHING like bacon and eggs, pancakes, and coffee cooked and eaten outdoors. Hoteling it when on vacation, you miss more than you know! Including the occasional bear. Also, it is great to draw close to God during those quiet nights looking at his creation, and it is great for teamwork for the family - as well as learning some survival skills." Ted Allison - "No.1 reason, the people you meet camping." Maybe camping is not your thing. Try glamping -- luxury camping with rustic accommodations like tent cabins, trailers, and yurts in the great outdoors. Even if you love camping, you should try glamping at least once.